When do we use ‘should’? Can we replace ‘should’ with ‘ought to’? When do we use ‘should have’? We use should to mean it’s a good thing to do. It’s especially used to give advice or an opinion. 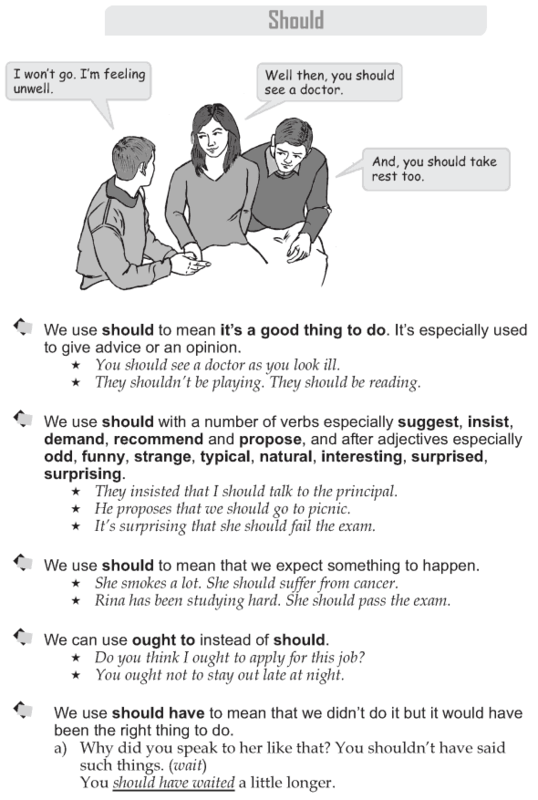 We use should with a number of verbs especially suggest, insist, demand, recommend and propose, and after adjectives especially odd, funny, strange, typical, natural, interesting, surprised, surprising. We use should to mean that we expect something to happen. We can use ought to instead of should. We use should have to mean that we didn’t do it but it would have been the right thing to do.